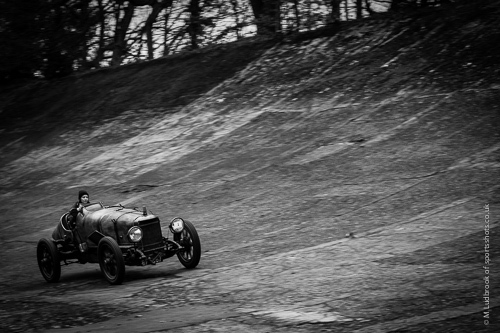 Brooklands, the birthplace of British Motor Sport and Aviation, renowned for its steep banked corners, shimmered once again to the sounds of pre war cars being put through their paces, Although it would be difficult to conjure up the ghosts of some of the beasts that once roamed the banking, these pre war cars were being driven like originally intended, “so they should be”,a shared opinion amongst many. 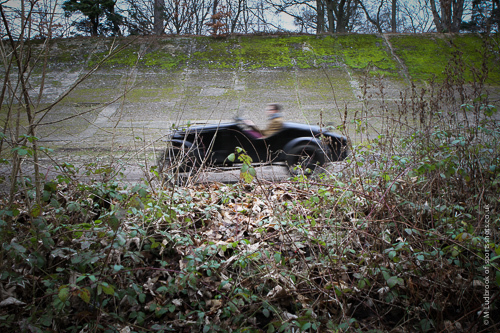 Both car and driver being put through a series of vigorous tests. 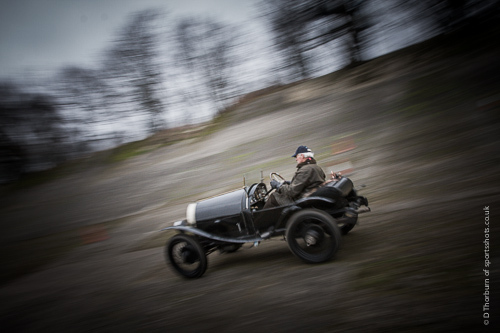 This ideal arena for competitors to pit their wits with driving tests set around the historic site, including the famous ‘Test Hill’ and of course, the original banking. 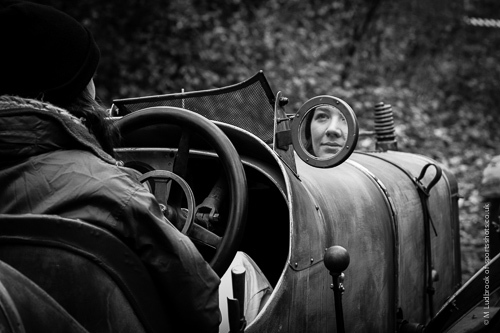 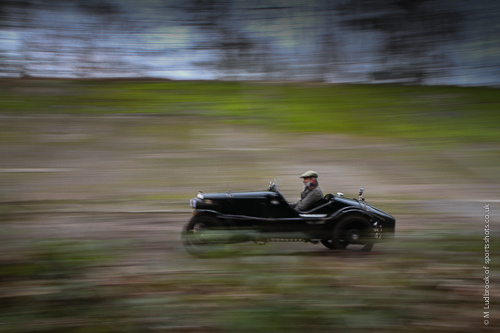 Katy Sharpe in her first ever event with the club, drove her father’s 1912 Sunbeam Coupe De L’Auto. 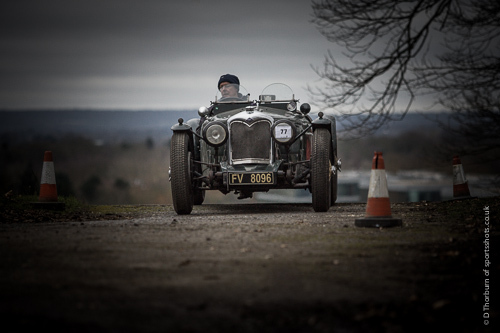 Her father who heads the team based in Derby told us that Katy had only driven this car previously along a short driveway to get used to the feel of it. 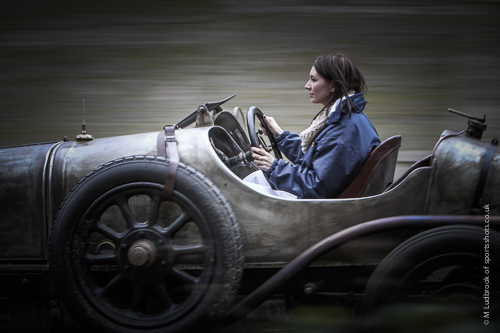 Katy went on to win her class in the Edwardian and Veteran class. 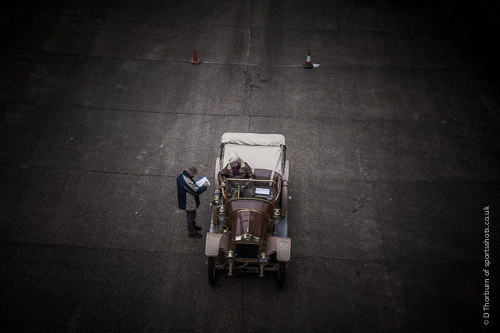 On the day the vintage car grabbed a lot of attention as the spectators got to wander around the paddock at Lunch, allowing them to get up close to these fantastic pieces of motoring history. 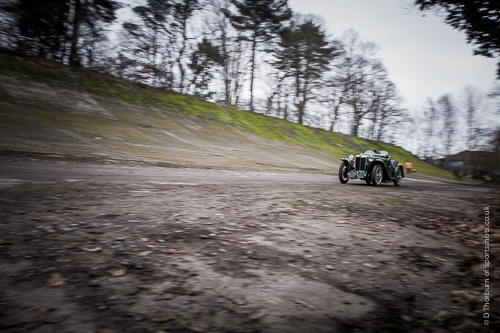 Marks such as Bentley, Bugatti and MG, whilst also on trial Riley and Frazer Nash to name but a few. 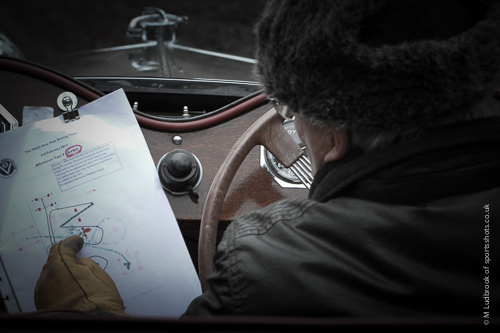 It is believed that the first Driving Tests were held in the early Post-war years, with an event at Madresfield, in 1947 laying claim to being the first. 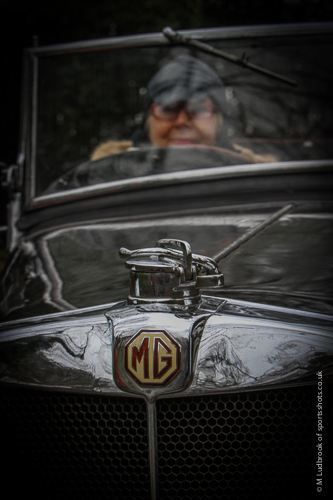 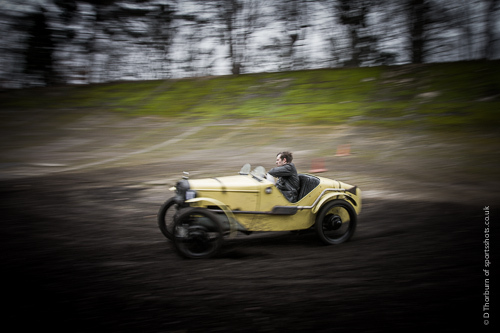 A venue that the Vintage Sports Car Club still run an event each year. 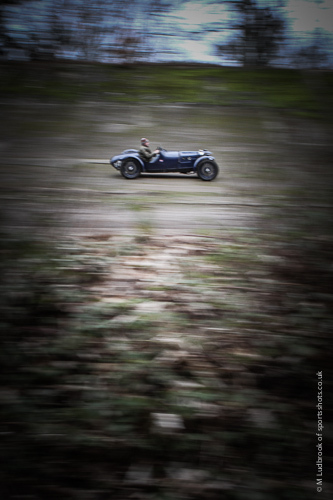 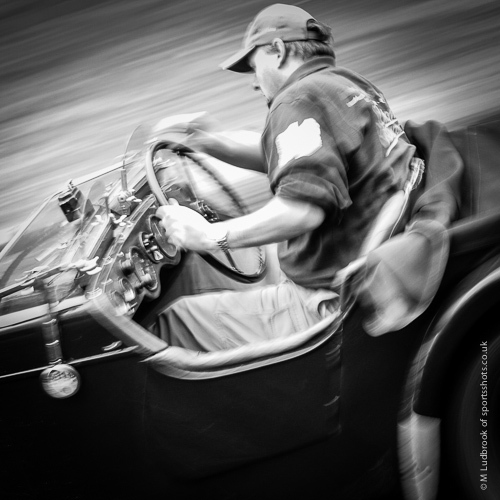 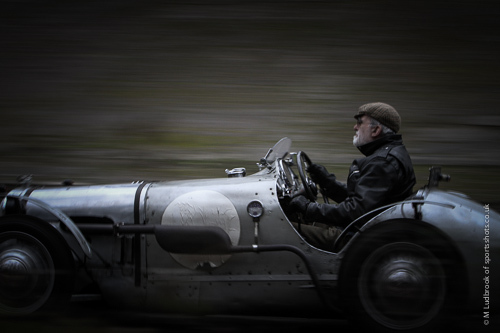 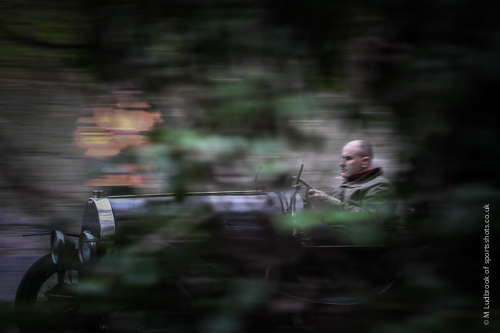 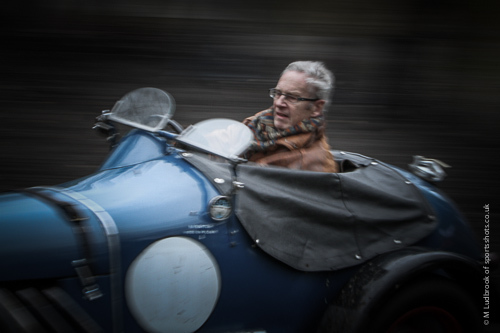 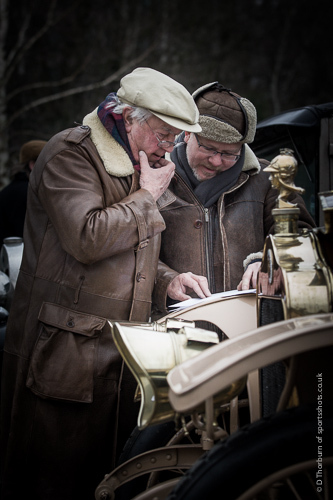 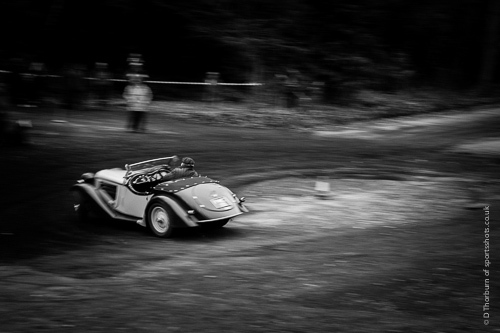 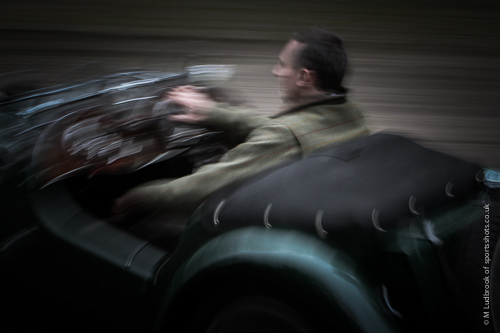 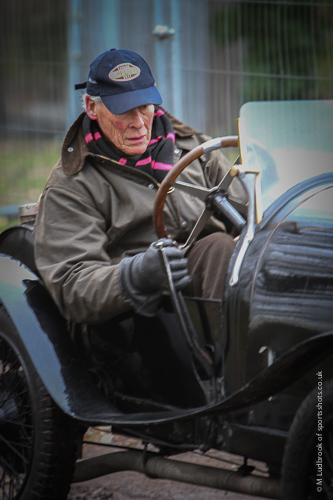 The Club host four Driving Tests each year, they are ever popular with competitors because they offer the chance to drive to the limit in all manner of Pre-war machinery in a historical venue. 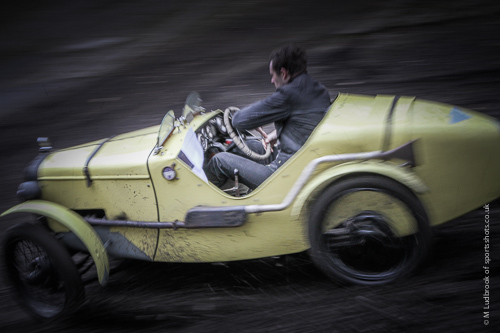 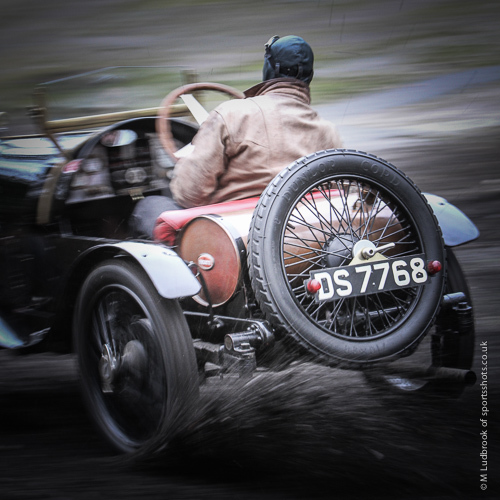 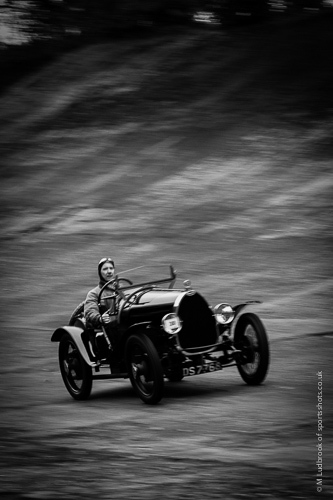 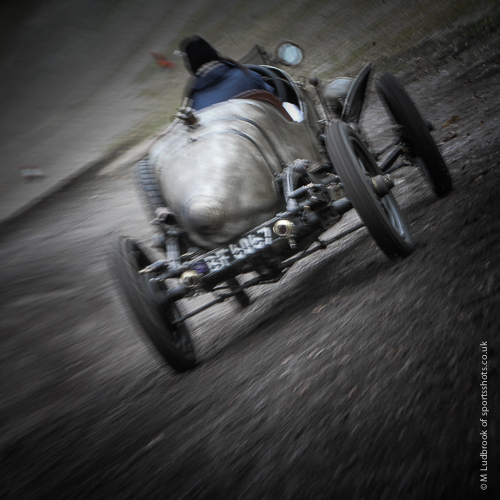 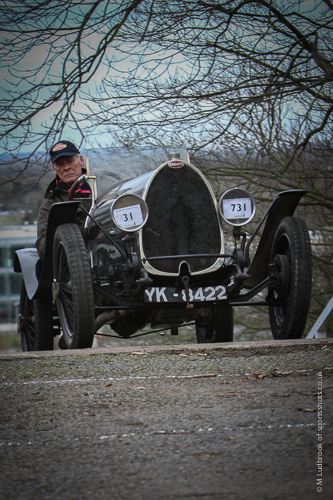 The Club returns to Brooklands on 15-16 June for the Double Twelve Motorsport Festival.